This article is about a mysterious discovery, that was once claimed to have been made, deep within cave systems within Ecuador which some believe, were originally man made. A discovery, that although now concealed from the world, was photographed, studied and documented, thanks to the array of artefacts, which had been amassed by an individual known as father Crespi. An entire, seemingly alien metallic library, completed with hundreds of sheets of gold, platinum, and other precious metals, hammered out to reveal an astonishing, unknown language, clearly left by a people of tremendous capabilities. The caves in which this find is claimed to have been made, is known as Cueva de los Tayos. And although any such discovery is denied by the Ecuadorian authorities, the Ecuadorian and interesting united kingdom’s governments, funded an extensive search of the cave systems, soon after the claims became public. 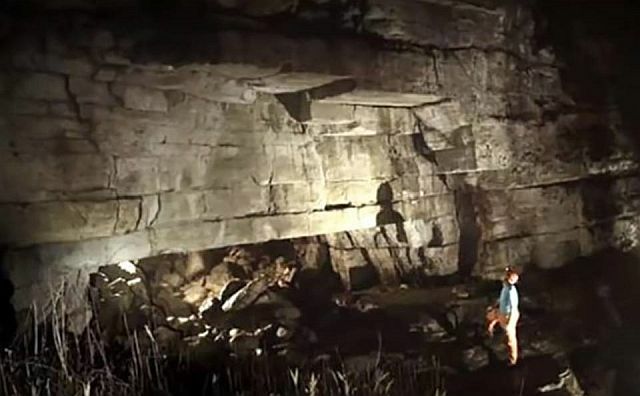 It attracted the attention of numerous individual, who travelled into the depths of these caves, including Neil Armstrong, the first man on the moon. 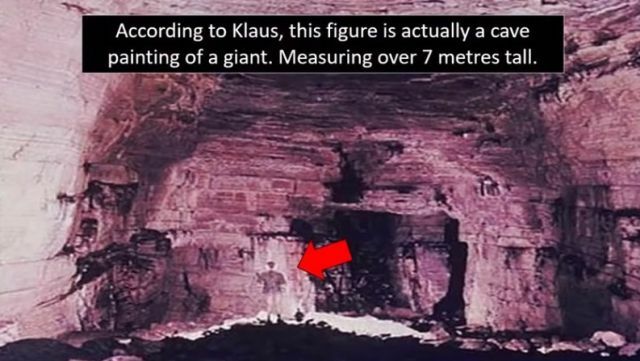 What Mystery History wishes to focus on this video however, is the enormous, seemingly man-made caverns, which are to be found within the cave systems. They feel, if these cave systems are indeed one day admitted, as having once been artificially hewn from the bedrock, then this would undeniably reveal tremendous flaws in academia’s claims, as to the geology and indeed true history of the area. The cave system is so enormous, it has yet to be fully explored by modern man, yet what has been explored, has revealed highly compelling features, which corroborate earlier claims of an artificial origin. The Moricz portal for example, named after Juan Moricz, the individual who claims to have originally discovered the metallic library, is clearly of an artificial nature. The question is, why go to such lengths to construct this natural looking cave system? Was it all created merely to hide this library? And if so, how important could the information held within be? And why did such a find, attract the attention of the first man on the moon? Did the astronaut know something we are yet to discover? Juan Moricz signed affidavit dated 8 July 1969, in which, he confessed to a meeting with the Ecuadorian president, where he received complete control over his discovery, provided he could produce photographic evidence, and an independent witness corroborating the discovery. When Moricz met with von Däniken in 1972, he took him to a secret entrance, through which, they entered a large artificial hall within cave system. “The passages all form perfect right angles. Sometimes they are narrow, sometimes wide. The walls are smooth and often seem to be polished. The ceilings are flat and at times look as if they were covered with a kind of glaze…My doubts about the existence of the underground tunnels vanished as if by magic, and I felt tremendously happy. Moricz said passages like those extended for hundreds of miles, under the soils of Ecuador and Peru.” End quote. It seems unquestionable whether sections of cuevas de los tayos, were indeed man-made, we feel the question now is, who went to these unimaginable efforts, so far back within history? Why create such a place deep within the earth, with such an intended illusion of natural origin, if you did not seek to hide something? Many still believe that the truth is still hidden deep inside its unexplored caverns, a truth that will force us to completely rewrite the history of mankind. Even today, the caves remain the obsession of many explorers, seeking to find the answer to its artificially created blocks of stone. Are the legends true surrounding Cuevos De Los Tayos? Did it once indeed contain an ancient metallic library, left to us by an ancient civilization?